Setting up a professional Amazon store to sell a product can be a lot of hard work, especially if you’re taking on the task alone. That’s why we’re here to save you from the trial and error you might go through before getting your products listed. We’ll arm you with so many tips and tricks that you’ll be able to breeze past the initial setup of your store so your products sell on Amazon like a pro. The account setup is pretty straight forward, but now you’ll be fully prepared. Let’s start with the hardest first: uploading your products to Amazon from scratch. If you are the manufacturer of the product and no one else sells this exact item online, then you will need to start from scratch. Just to be safe, conduct a quick search on Amazon just to verify. After verifying, begin adding product information to Amazon’s Inventory Loader File for the specific products you’ll be selling (i.e. clothing, computers, books, etc.). Whether you’ll be retrieving your product’s information from an eCommerce site’s export feed or adding the information to the Inventory Loader one by one, make sure you use a unique identifier for each product: ASIN, ISBN, UPC or EAN. The success of your store is contingent on how much detailed information you add to your feed, and the item name (or, the product title) is one of the biggest factors in determining this success. Once you’ve added all the information, insert the credentials of your seller account under the “Add-Ins” tab. Then validate the sheet, and upload the template. Tip: Use a Windows computer when using Amazon’s Inventory sheet. The sheet needs macros enabled so it can connect to AWS and confirm that the information on the sheet is correct. If you’re selling products that are already listed on Amazon, the task will be a lot easier and less time-consuming. Search Amazon for the product that is exactly like yours and create an excel sheet with these three things: your product, the URL of the Amazon product, and the product’s ASIN #. Download the Amazon Inventory Loader File and input all the necessary information. This includes SKU, product ID, product-id-type, price, item-condition, and quantity. Let’s walk through columns B and C.
From the excel sheet, make sure to correctly match each product SKU with the corresponding ASIN number in column B. In Column C, select option 1. That way, Amazon will understand to pull all of the information from that product while uploading. Tip: If the product you’re selling on Amazon is popular and there are many listings, choose the ASIN of the product that has the most/highest star ratings. Pay attention during this process. People tend to make the mistake of finding a product that is almost the same as theirs and using it to upload their product. DO NOT do that! Look at you! You’ve got everything setup and customers are buying your products! If you get to this point, your work is not over. Here are a few tools that’ll help you keep your store running. The first tool is AppEagle, a tool you can use to control the Amazon Buy Box. What is the Buy Box, you ask? The Buy Box is the “Add to Cart” button on Amazon’s product page. If you’re going to upload your products using option 2, then you’ll have other sellers competing to sell your same product to your customer. That means that whoever owns the Buy Box will get the customer. Having a product with the lowest price makes a customer more likely to buy your product, which makes Amazon more likely to give you the Buy Box. But if you have hundreds of products, updating the prices one by one would be too time-consuming. Having enough products in your inventory is a factor. That means it’s readily available for a customer to purchase. This goes without saying. Amazon takes into account how accurately you ship your products to your customers. You need to build a reliable process when shipping a product to a customer to avoid customers receiving the wrong items, customers not receiving their item within the estimated delivery time, or customers receiving canceled orders. 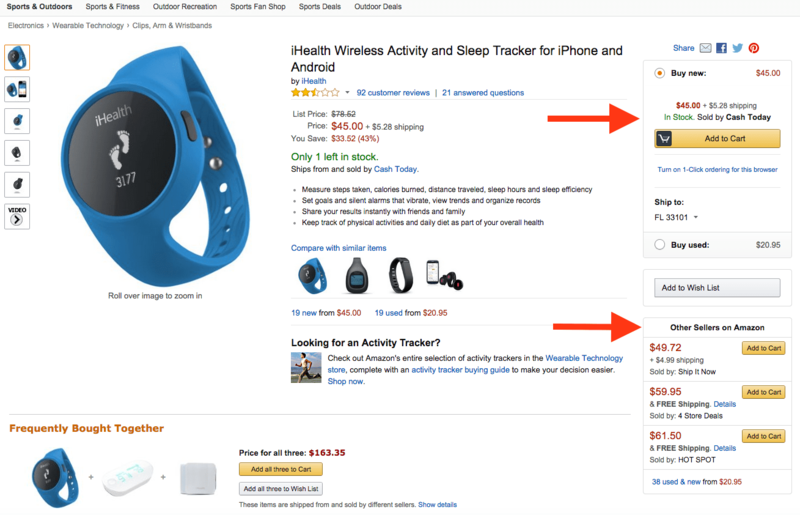 Amazon tracks how active you are in responding to your customers’ questions or concerns. For example, they keep tabs on whether you contact customers if the product will be delivered late. They also keep track of the communication after the sale, including refunds, returns, or exchanges. If you correctly complete the above steps, you should be on your way to processing orders and making money. But keep in mind that selling on Amazon is not as easy as listing items. You will want to make sure that every process and tool you use in monitoring your listings works perfectly. 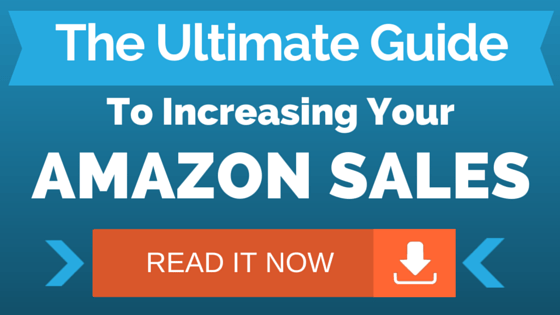 There is more competition on Amazon than you can imagine, and it gets harder each day. In the end, if you’re going to just throw your products up on Amazon and hope for the best, then Amazon will be the one making the money—and you don’t want that, do you? As you can see, this process isn’t as simple as it might seem from a distance. If you need professional assistance setting up, migrating, or maintaining your store, feel free to contact us. We’ll be able to answer your questions and assist you as well.